I’m so excited to share how I clean and remove sweat stains the natural way in our home with you! We live with boys, and with boys comes sweat. Gross. It’s just a fact of life though, so it’s something we have to deal with…am I right? Usually, a quick trip through the washing machine takes any sweat right out of their clothes, but those dang white undershirts seem to hold on to them right in the under arm area. Strangely, sweat really isn’t the main cause of the yellowing of those shirts, it’s the product men use to combat sweat…deoderant. For some reason, it turns that area yellow and hardens the fabric. 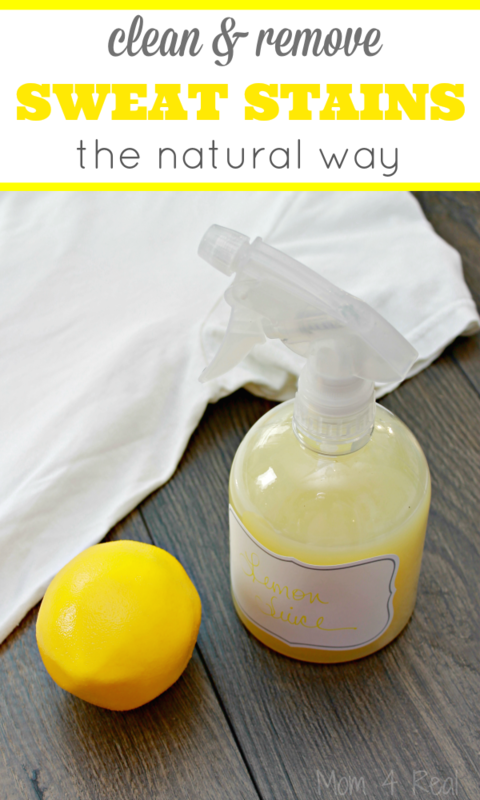 To get those nasty yellow stains out, I use one simple and all natural product…lemon juice. Seriously…lemon juice is such a great all natural cleaner. It helps to brighten wipes and is a great bleach alternative! Simply spray a little bit of 100% lemon juice onto the yellow area of your guy’s shirts, and if you have discoloring on your whites, you can give it a try too! 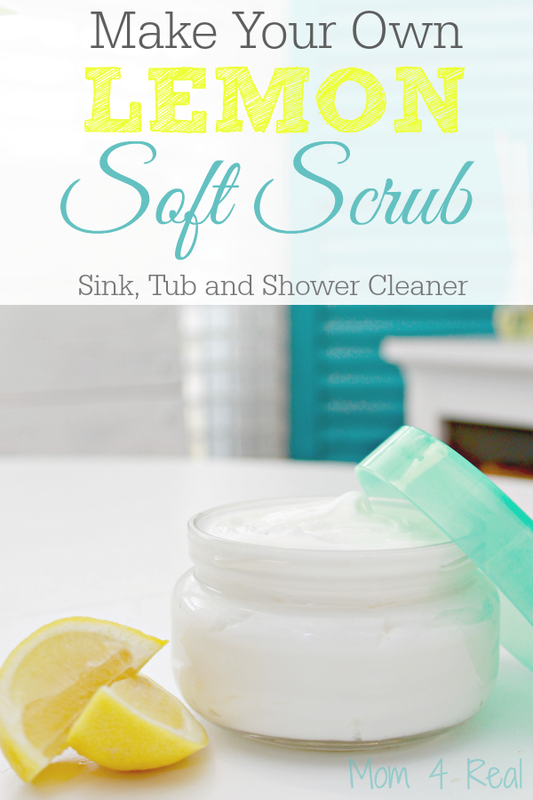 I buy it at the store and keep it in a spray bottle in our laundry room! 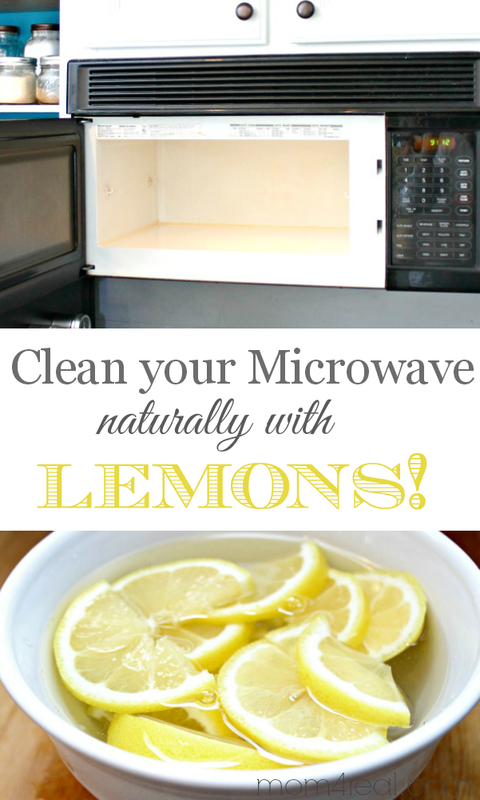 Clean Your Microwave Naturally with Lemons! 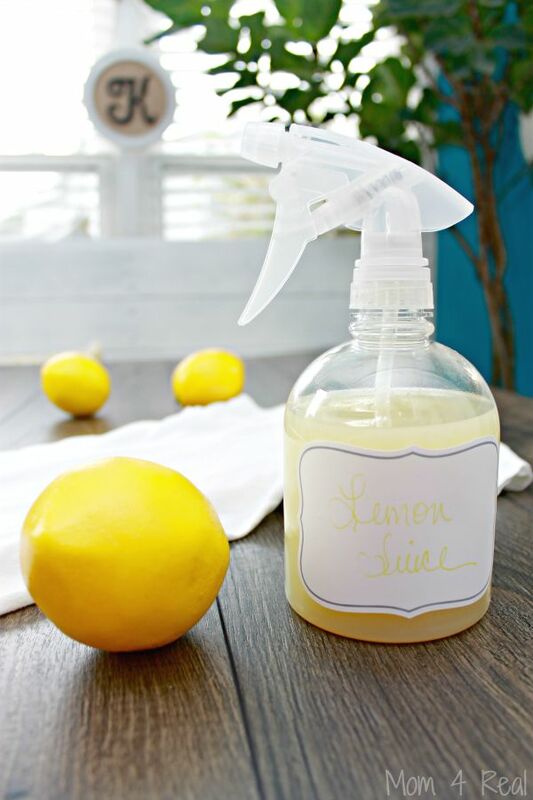 I hope you love these easy tips for using lemons for cleaning! I’m not sure, but I’d give it a try for sure! hello. 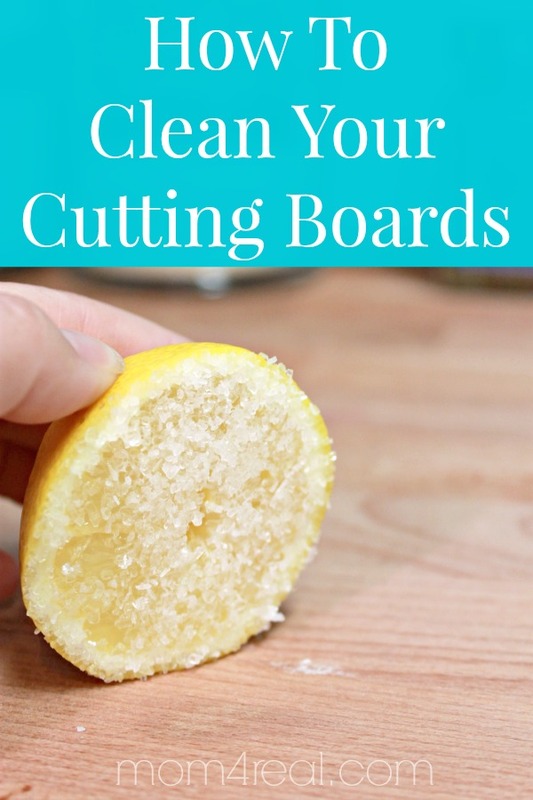 i love reading your cleaning hacks and i’d love to try each one of them! for this though, how long is the shelf life of this 100% pure lemon juice if i keep it in a spray bottle? Do you use fresh squeezed lemons for the juice or just buy the stuff in a bottle?